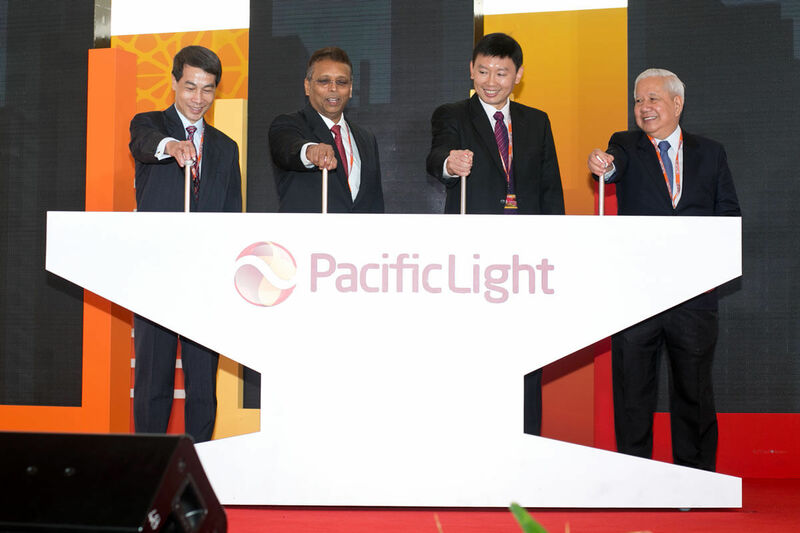 Singapore, 3 June 2014 – PacificLight Power Pte Ltd (“PLP”) launched today its 800MW state-of-the-art Combined Cycle Gas Turbine (“CCGT”) power plant located on Jurong Island, making it the first in Singapore to be completely fuelled by liquefied natural gas (“LNG”). The use of LNG is part of Singapore’s plan to diversify its energy sources and to decrease its reliance on piped natural gas. Mr Chee Hong Tat, Chief Executive of Energy Market Authority, officiated the opening ceremony, which was attended by government officials, shareholders, industry representatives and business partners. Construction of the S$1.2-billion power plant commenced in 2011 under an Engineering, Procurement and Construction contract awarded to a consortium consisting of Siemens AG, Siemens Pte Ltd and Samsung C&T. Completed on schedule earlier this year, PLP’s 800MW power plant contributes 6.2% to Singapore’s total installed generating capacity. Situated on a 11.3-hectare site on Jurong Island at the western end of Singapore, the power plant features the latest F-class gas turbines from Siemens. In addition to other efficiency-boosting features, the F-class gas turbines are designed to comply with stringent international emissions standards and ramp up its full capacity in 60 minutes, making it one of the most efficient and flexible power plants operating in the region.